The Clifton Heights neighborhood is home to over 6,000 people and 100 businesses. The neighborhood bridges the gap between Over-the-Rhine and Downtown Cincinnati to the South and the University of Cincinnati to the North. The population reflects this diversity and the business district has rapidly become a destination for those visiting the University and its many events. 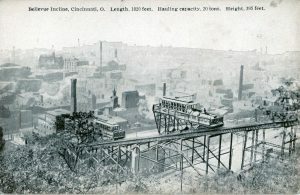 The neighborhood of Clifton Heights was the original “suburb” of Cincinnati. As the population in the basin grew rapidly during the early-mid 19th century, living conditions became cramped and increasingly undesirable for those with the financial means to live elsewhere. 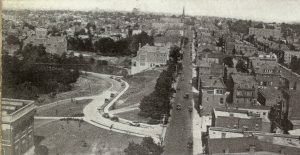 As late as 1886, there were literally no streets; however, as the population grew and transit options expanded rapidly in the 1870s with the inclines followed shortly thereafter by streetcars, the area quickly became accessible and consequently grew exponentially. While the University of Cincinnati was founded in 1819, it wasn’t until 1890 that it would begin to take shape as we now know it. 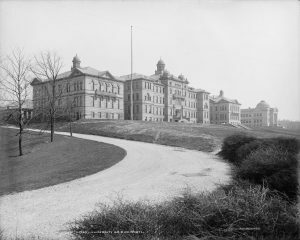 It was at that time that the City of Cincinnati set aside 43 acres at the southern end of Burnet Woods to serve as a permanent home for the University. Over the next half century, Clifton Heights would become more dense and evolve into an increasingly middle class neighborhood. The next major change came in 1977 when the University ceased being a City owned institution and officially became a part of the State of Ohio. This change resulted in an almost overnight increase in enrollment and growth at the school skyrocketed. This growth had consequences and served to rapidly change the real estate market as the University could not house all of its students on campus. As a result, students began to increasingly rent single family housing on the blocks immediately adjacent to campus. Over time, the middle class mostly owner-occupied neighborhood gradually became more and more densely populated with students and rental property. 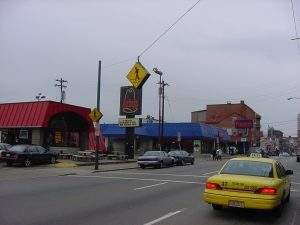 Concurrently, the Clifton Heights Business District as bounded by Calhoun and West McMillan streets underwent a rapid transformation as its traditional mixed-use older building stock was razed in favor of a more auto-oriented suburban model of development highlighted by single story drive-thru fast food restaurants and surface parking lots. This physical form was reflective of the student body at the time which was heavily commuter. In 1989, under the leadership of then President Joseph Steger, the University embarked on a massive Master Plan that saw $2 billion in on campus construction that would radically change what had traditionally been a commuter campus into one that Forbes Magazine would highlight as one of “America’s Most Beautiful College Campuses”. Shortly thereafter, the University began to partner with the surrounding communities to create and fund community development corporations (CDCs). These CDCs were structured in such a way as to bring all the stakeholders to the table to look at how the areas around campus could be improved to complement the changes occurring on campus. 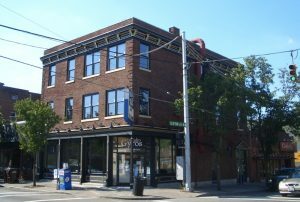 One of these CDCs, the Clifton Heights Community Urban Redevelopment Corporation (CHCURC) was formed in 2001 as the lead entity to implement the Clifton Heights / UC Joint Urban Renewal Plan. Over the next 15 years, CHCURC engaged in numerous initiatives to remake the Clifton Heights Business District. As stated previously, much like the University it served, the business district had over time become very vehicular oriented with fast food drive thru restaurants sprinkled throughout. The planning process sought to make the business district more pedestrian and more dense to bring life to the street. These efforts began with the branding of Clifton Heights and then evolved into more bricks and mortar projects. The organization, in partnership with the City of Cincinnati, invested in existing businesses through the Façade Improvement Program which provided matching grant funding to business and property owners who wanted to improve their storefronts. Concurrently, CHCURC, with the assistance of the University of Cincinnati and City of Cincinnati, purchased several large tracts of land that would be ultimately be developed into University Park Apartments, USquare, and another project currently under predevelopment, Gateway to Uptown. While primarily focused on new construction, CHCURC took the lead in saving the historically significant Old St. George, a formerly Catholic Church designed by renowned Cincinnati architect, Samuel Hannaford. In 2005, when faced with pending foreclosure and imminent demolition by a large drugstore chain, CHCURC along with the University stepped up to purchase the building and save it. In 2008, the church suffered a catastrophic fire that destroyed the steeples. However, in 2015 CHCURC negotiated a sale of the property to Crossroads Church who would invest millions of dollars into the restoration of the building and the rebuilding of its iconic steeples. In 2016, Old St George opened its doors once again. 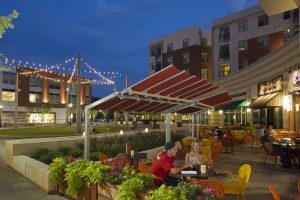 As national trends evolve and people are now looking to repopulate the urban core, Clifton Heights, with its proximity to employment centers, entertainment, and culture, finds itself uniquely poised to enjoy a new renaissance.